Dr Naveen Kumar Ailawadi has done his MBBS from S.N. Medical college, Agra. He was awarded with a Merit certificate in his MBBS. 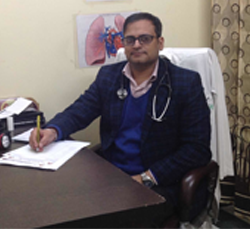 He has done MD in pulmonary medicine in first division from government Medical College, Amritsar. He has won many awards and appraisals during his MD. He was also awarded with best poster presentation in his Post graduation. He was school topper throughout his school period. . This along with suitable application knowledge we have culminated in optimal patient outcomes thus recording a high rate of patient satisfaction. He has 16 years of rich experience in the field of pulmonary (chest) medicine and critical care. He is daily dealing with critically ill patients having pneumonia, asthma, TB, ILD, COPD and other various lung diseases. Bronchoscopy is a procedure in which an instrument known as bronchoscope is inserted into the lungs of patient. Critical care is the specialized care given to patients suffering from life threatening conditions..
Sleep lab is a place where diagnostic tests for sleep disorders are conducted. Respiratory physiology is the movement of oxygen from the outside environment to the cells..
Preventive therapy is therapeutic intervention intended to prevent diseases. Thoracoscopy, also called Pleuroscopy, it is a medical procedure in which a flexible viewing tube is inserted in the lungs through the space between the ribs. Lung surgery is the surgery performed to restore, repair or remove lung tissue. 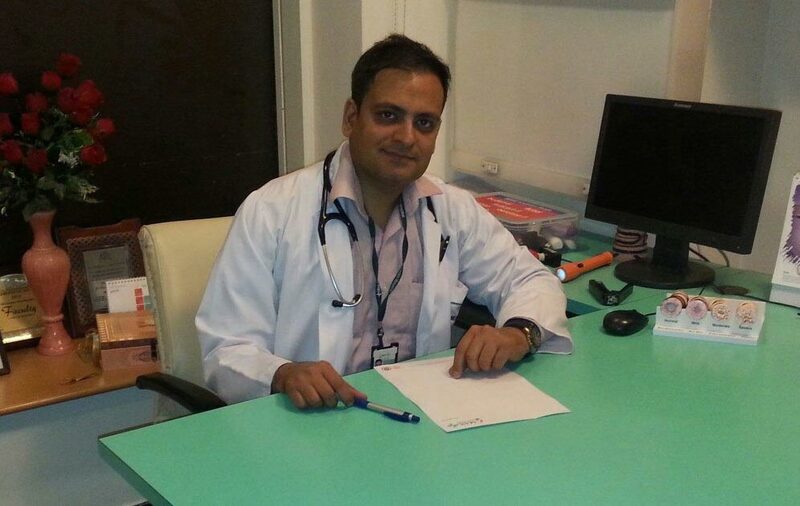 Dr Naveen Kumar Ailawadi has done his MBBS from S.N. Medical college, Agra. He was awarded with a Merit certificate in his MBBS. He has done MD in pulmonary medicine in first division from government Medical College, Amritsar. He has won many awards and appraisals during his MD.